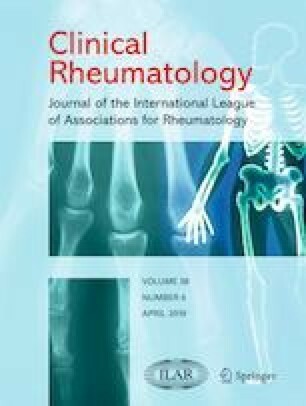 Factors associated with progression and survivals in rheumatoid arthritis–associated interstitial lung disease (RA-ILD) have not been described in a large center China cohort. Seven-hundred and ninety-one consecutive RA patients who completed lung HRCT were considered as potential participants in this retrospective cohort study. Determinants of ILD progression were identified through multivariable logistic analysis. Cox hazards analysis was used to determine significant variables associated with survival. Of 307 patients diagnosed with RA-ILD, 266 were finally included. The 3-year survival rate of RA-ILD patients was 81.24%, and the 5-year survival rate was 69.71%. A total of 82 deaths occurred during follow-up, of which 56 died of respiratory failure due to ILD progression and/or pneumonia while 14 with malignancies (8 with lung cancer). Logistic regression analysis showed that anti-CCP antibody high titer positive (OR: 4.03, 95% CI: 1.04–15.69) and DLCO% < 45% (OR: 8.31, 95% CI: 2.17–31.75) were independent risk factors for the ILD progression. Cox hazards analysis revealed that advanced age (> 60 years old) of RA-ILD diagnosis (HR: 2.32, 95% CI: 1.27–4.25) and extensive lung involvement on HRCT (HR: 2.19, 95% CI: 1.24–3.87) were associated with worse survival. Treatment with cyclophosphamide (HR: 0.43, 95% CI: 0.26–0.69) was associated with better survival. In RA-ILD patients, anti-CCP antibody high titer positive and DLCO% < 45% are risk factors for ILD progression. Advanced age and extensive lung involvement on HRCT, rather than the baseline UIP pattern, independently predict mortality after controlling for potentially influential variables. Furthermore, cyclophosphamide treatment helps to improve the prognosis in real-world experience. Authors Qiang Fu and Li Wang jointly completed the writing. We would like to thank Shuai Gao (experienced radiologist, Department of Radiology, Beijing Chao-Yang Hospital, Capital Medical University, Beijing, China) for his assistance in identifying interstitial lung disease for the present study. Yi Zheng had full access to all the data in the study and takes responsibility for the integrity of the data and the accuracy of the data analysis. Qiang Fu, Li Wang, and Yi Zheng were involved in the design of the study; Qiang Fu, Luling Li, Yifan Li, and Ran Liu selected the patients and acquired the data; Qiang Fu and Li Wang analyzed and interpreted the data; authors Qiang Fu and Li Wang jointly completed the writing, and Luling Li, Yifan Li, Ran Liu, and Yi Zheng were substantially involved in revising the article.